Did you know that there is a day dedicated to eating crepes? The Catholic holiday of Candlemas, on 2 February, is a feast to commemorate the purification of the Virgin Mary and the presentation of baby Jesus. In France, this holiday is called la Chandeleur, Fête de la Lumière,* or jour des crêpes. Not only do the French eat a lot of crêpes on Chandeleur, but they also do a bit of fortune telling while making them. It is traditional to hold a coin in your writing hand and a crêpe pan in the other, and flip the crêpe into the air. If you manage to catch the crêpe in the pan, your family will be prosperous for the rest of the year. Now its no mystery what I will be having for dinner every February 2nd! I am obsessed with crepes. They can be classy and romantic, laid-back and casual, or even exotic and mysterious. Having tried numerous variations – Hungarian crepes, Vegan Crepes, Japanese Crepes, Ukrainian Crepes, Artsie Crepes, and even the growing crepe franchise, I am extremely intrigued with crepes. Similiar to trying out various coffee beans, each crepe provides a different experience. Some are crisp, some are spongy; some may be bursting with flavours, but others could be bland and boring. It is an unpredictable surprise every single time. Sweet or savoury? That might be the hardest question for every crepe adventure. 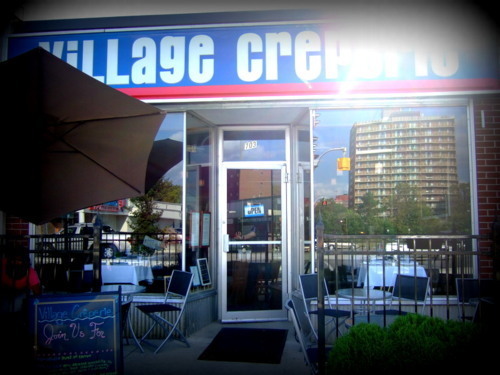 Village Creperie is located in the interesting Belmont Village. 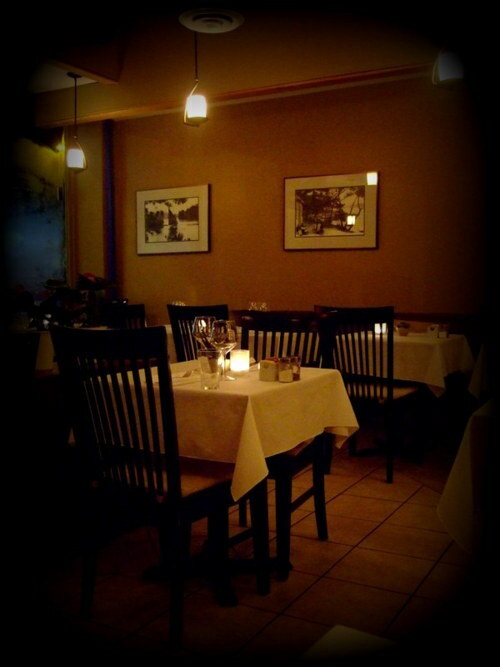 It is family-owned, and is the only non-franchised crepe specializing restaurant in the KW region. 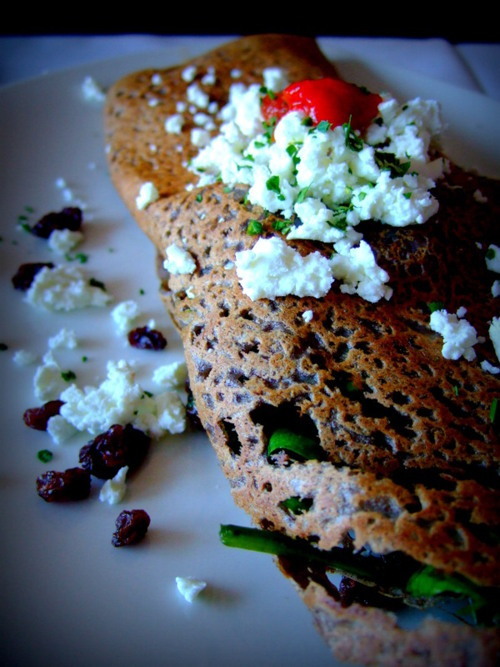 The owner/chef perfected her crepe-making skills in Brittany, France, focusing on using only organic ingredients in her cuisine. White linen, clear glasses, soothing atmosphere. 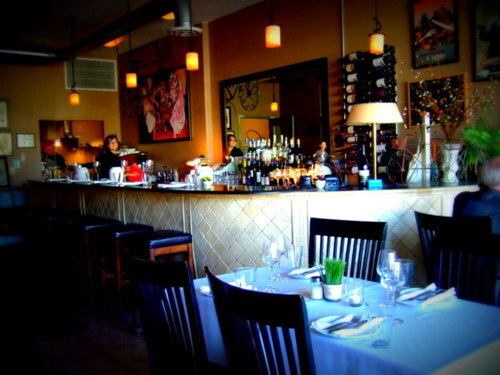 The menu is separated into Les Petites Plats, Les Salades, Les Galettes, Les Dessert, and Les Flambees. Skeptical of sampling the unknown, Y was slightly annoyed with the french menu items. On the other hand, I was immersed in the experience of a seemingly exotic excursion to France. The three cheese blend proved to be slightly too rich for Y. However, no cheese is ever too rich for me! The presentation and flavours were bright and beautiful. Great portion for starters. 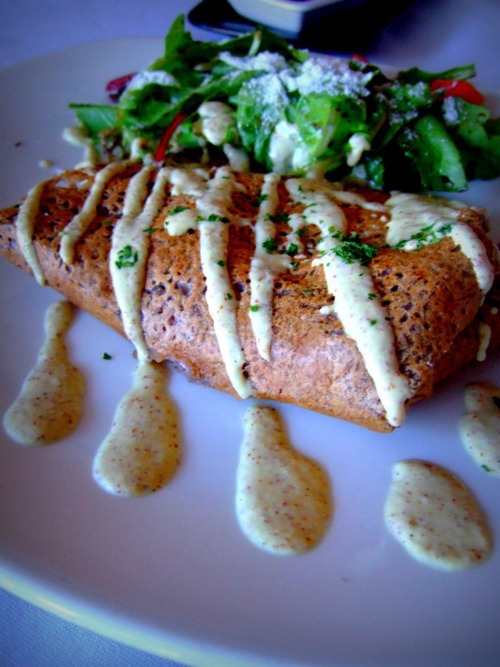 Wild Pacific Salmon Filet, in a Crepe, topped with Buttermilk Dill, Grainy Mustard & Garlic Dressing. Y was impressed with this but I thought the fillet was a tad overcooked, though the seasoning and buttermilk dill were lovely. 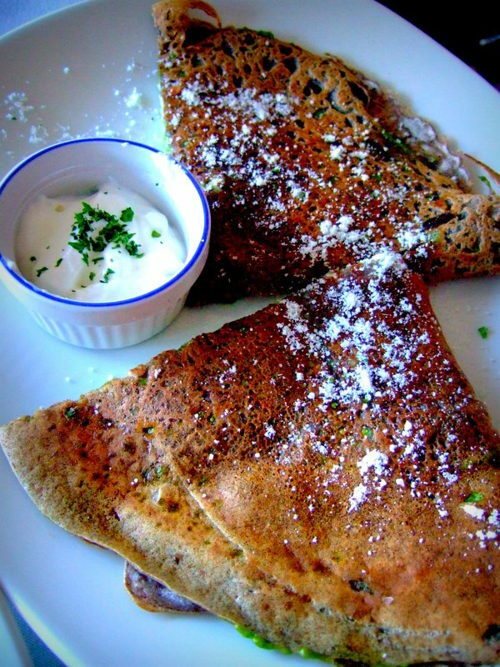 Thoughtfully offered as an appetizer as well, for customers who would like to try out different crepe varieties. Organic Spinach, Roasted Red Pepper, Caramelized Onion, Portobello Mushroom, Goats Cheese, Raisins & Basil Pesto. My favourite among the orders. Y prefers dishes with a heavier emphasis on proteins so he was slightly disgruntled with the meat-less crepe. I thought it was a charming and surprisingly filling dish. I returned on another occasion to sample their sweet crepes. 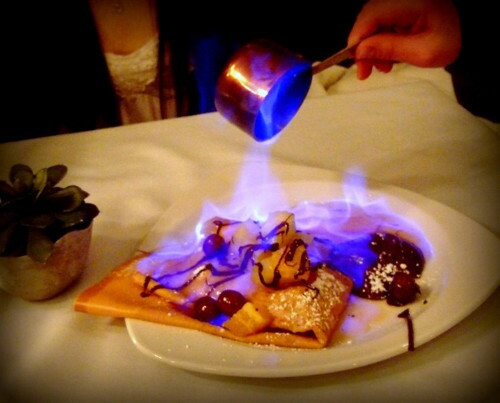 The term flambé [flahm-BAY] is a French word meaning “flaming” or “flamed.” Flambé means to ignite foods that have liquor or liqueur added. This is done for a dramatic effect and to develop a rich flavor of the liqueur to the foods without adding the alcohol. Aha, dramatic and bold food is my favourite. It was visually appealing and very impressive. However, the alcohol did not burn off evenly so the crepe tasted slightly offensive and too soggy for our liking. After experimenting with numerous flambes, I doubt I’ll ever order them again. Pretty but tastes blah. Both of us enjoyed the thoughtful execution and creativity displayed with each crepe, but the buckwheat crepes were not as soft and fluffy as we would prefer. Interestingly, we rated each dish differently, but overall agreed that this is definitely a place worth returning. Dinner will provide an absolutely different dining experience as lunch. Will be heading back soon to try out their brunch menu.